Maybe you’re just getting your bistro or cafe going. Maybe your business is booming. I’ll tell you how to get the best restaurant website possible, whatever your budget. The goods news first. You can have a solid online presence for your restaurant that actually earns you money for almost no cost. There are enough free services, social networks and promotional channels available to help your business succeed online. From Facebook to Groupon, Happy Tables to MailChimp, the internet offers a lot for small businesses that need to drum up customers while keeping costs down. The bad news is that no matter what you’re budget, you’re going to have to invest some time to get going. You’ll need decent photos and good information about your restaurant. Even if you hire a firm to help sort you out, you’ll have to spend time articulating your needs, working through design drafts, and consulting with them to get your online presence in place. But don’t worry. I’ll show you four ways to get a great restaurant website depending on the time and money you’re ready to invest. The most important thing you can do is to establish a presence on Facebook, Google Local (formerly Google Places) and Yelp. Each of these sites represents a powerful platform customers use to discover new restaurants. Think of it like buying a storefront on a busy street. These streets are busy and you definitely want a piece of that traffic. That’s enough. It really is. If you are on a shoestring budget and have very little time to invest in your restaurant, your listings on these three sites will help drive customers through your door. Everything else is extra. Don’t get me wrong. There’s a lot of value to be found in investing in the extras. I’ll talk more about that soon. But this is the bottom rung: an effective online presence with no costs and very little time investment. Here are some links that will help get you signed up quickly. All done with those? Here are some more sites worth getting onto when you have the time. 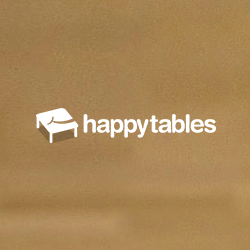 This site is owned by Yelp, so your listings might be duplicated here. Eventually, you’re going to want your own website. There are things you can do with your own site that you won’t be able to do on your Facebook page. And having your own site will make you look more established and professional. But going out on your own can be costly and, if you’re on a tight budget, very risky. To be frank, a lot of low-budget web development firms deliver poor products. The technical quality of your site can make a big difference to your ranking in search engine results like Google. You might end up with a site that works poorly on mobile phones, which may account for half of your visitors. That’s why my recommendation for getting the best restaurant website at the next budget scale is to go with an established provider. If you don’t have the money to splash out on a great website, these services provide great value for money. They will allow you to have your own domain name — that’s a web address, like www.myamazingrestaurant.com. And several of them provide valuable features like online ordering and reservations. But the single most important thing they bring you is professional support and implementation. They offer the best restaurant website you can get on such a low budget. They may limit your options in terms of the design of your site or how the content is displayed. But the limits they impose are often there to ensure the site is accessible and exposed to as many potential customers as possible. On top of this, you’ll also get ongoing support and maintenance six months or six years down the line. You won’t get that kind of service from your local budget web design agency. Here are three service providers that I would recommend. They offer features that you’ll find valuable when you have your own site, like online reservations, mailing lists and web-friendly menu designs. This company has streamlined their admin interface to make it as easy as possible to manage your site. Supports: online reservations, orders, integration with review sites, menus, events management, mailing lists, social media integration. This company takes a different approach. You send them your details and they get the site setup for you. That will take some of the pain out of getting started. Once it’s up, you’ll still have access to update and change the site. Supports: online reservations, orders, menus, mailing lists, social media integration. This company hosts thousands of websites of all kinds. But they’ve got a special set of themes and features for restaurants. They’re not as focused on restaurants as the other two, but they have a strong performance record that’s worth considering. Supports: online reservations, menus, social media integration. Maybe you’ve got a bit of web experience yourself. A lot of small business owners have become pretty good at digital marketing over the years. 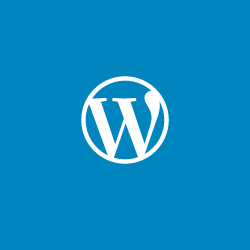 Maybe you’ve put together a WordPress website and feel comfortable messing around with hosting, installers and themes. If you’re not intimidated by the web, it’s not that hard to get up and running with software like WordPress. Does the theme prominently display your restaurant’s address, phone number, opening hours and maybe a map on the front page, like this? Does the theme allow you to accept reservations online? Does the theme give you a way to highlight your best reviews? Does the theme include a strong call to action? This should be a prompt in a prominent place on your front page that encourages your visitors to come to your restaurant. Does the theme look good on your phone? Those are the components you should look for when evaluating a theme. Once you’ve found one you like, you should always contact the author of the theme before purchasing. Ask them what their support policy is and how frequently they update the theme. You want to make sure the theme you’re buying is under active development, so that as the web evolves your theme can evolve with it. If you’ve got your site up on your own, good job! Now you should look into some of the other things that the web can do for you. MailChimp and Constant Contact offer easy ways to collect email addresses and send messages to a mailing list. If you’re using WordPress, Restaurant Reservations, Open Table and Redi Reservations will allow you to take reservations. You should look at the web as a complete marketing package, not just a website. I regularly post tips and tutorials for restaurants, so follow me on Twitter or sign up for my mailing list if you want to learn about more helpful tools. You run restaurants, not websites. So if you’re ready for the investment, it’s probably a good idea that you get someone to put your website up for you. This is a good idea. Even though restaurants are local businesses par excellence, that doesn’t make them immune to the sweeping changes brought on by our shift to the internet. You need to be willing to invest in this space if you’re going to succeed. But that’s the important part: you need to be willing to spend a chunk of cash if you’re going to hire a web design/marketing agency. If you’re seeking a low-cost agency for the development of your website, you’re better off going with one of the services I mentioned earlier. They’re good at what they do and they’re the best expertise you’ll get for cheap. If you’re hiring a firm, be prepared to pay a few thousand dollars or more. Why am I hard on low-cost web development agencies? Don’t get me wrong, once upon a time I was one of them. But in most cases they’re cheap because they’re limited in the services they offer and the knowledge they bring to that process. Let me put it this way: you’re hiring them for their expertise. A mediocre agency will offer you a website because that’s what they know. But a good agency will offer you more than a website. They’ll offer you a solution for growing your business on the web. That will encompass a broad range of things: multi-prong strategies for improving your search engine ranking, integration between your site and your social network presence, tools to help you manage your restaurant (like reservations and mailing lists). The best restaurant website is one that makes the web work for you. So when you’re shopping around for different agencies, look out for the ones that have more to offer. Look for the ones that treat your website as an integral part of your business — not just an online brochure that you update once every six months. Chances are, they’ll cost more than the other agencies. But they’re more likely to pay off for you in the long run. It’s not so hard. Ok, maybe it is. Making websites is what I do. But I know it can be overwhelming, especially if it’s just one of hundreds of things vying for your attention. The key is to identify the time commitment and financial investment you’re willing to make, then follow the advice I set out for your circumstances. Here’s a quick recap. No time and no money: focus on your social network presence. Modest budget: use a service catered to your needs. Time and energy, but little money: do it yourself. Money to invest: hire a professional. 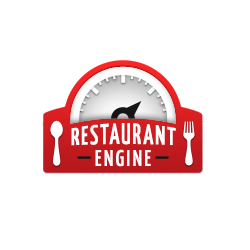 My business is all about building WordPress products that make restaurant websites better. That means I’m focused on the web developers and do-it-yourselfer’s that can take advantage of my product suite. That may not be you. But if it is, why not sign up for my mailing list or follow me on Twitter? I regularly post tip, tutorials and advice on running your restaurant website. Have a look at the rest of the blog. And get in touch if you have any questions or comments. I’m always looking to learn more about what restaurants need to succeed.